Disneyland Resorts is where the magic began for Disney Theme Parks. This original Disney theme park has details everywhere guests look. The magic has expanded in sixty years to cover two theme parks, Downtown Disney entertainment district, amazing restaurants, and three resorts for budgets ranging from value, moderate and deluxe. Guests who prefer to stay off site has a number of Good Neighbor Hotels to choose from. Guests can use resources below to plan for the perfect vacation. Great Disneyland vacation planning requires the right tools. We have the tools for guests to plan vacation dates. Are you planning your visit for annual events? Special occasions? Find the right package, tickets and resorts for your visit. Will you be staying in one park for the whole day or would you like to hop between the two theme parks? Park hopping is easy when the parks are just steps from each other’s main gates. Decide the right ticket combination with your accommodation. 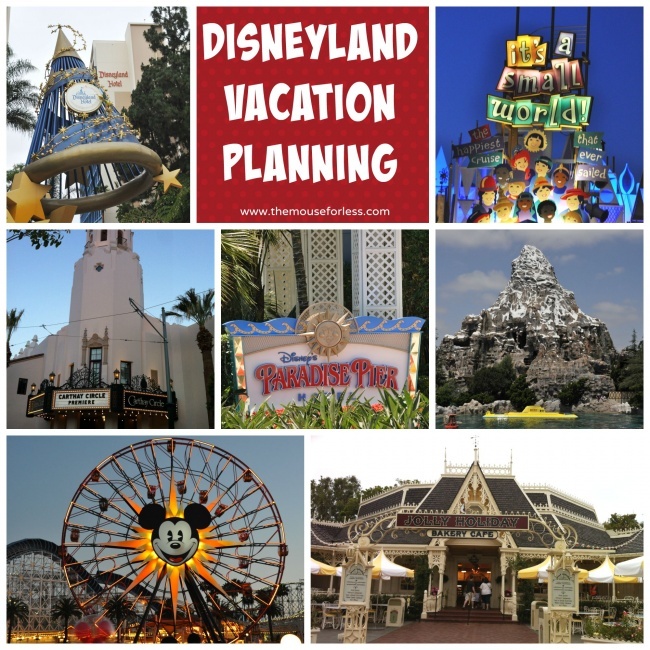 Will you only be visiting Disneyland Resorts or will you be visiting other Southern California attractions? Find discounts and Money Saving Tips; Reserving and booking your Disney vacation; as well as Disney technology, apps and other resources. Special Offers and Discounts Save on your next Disneyland vacation!